In June of 1999, the ‘Irish Times’ newspaper carried a half-page article on the outstandingly beautiful Dún Chaocháin district in northwest Mayo. A team of local people, including Treasa Ní Ghearraidh, Uinsíonn Mac Graith and Mícheál Ó Cuirleáin, had produced a bilingual CD ROM, on the unique set of Irish placenames in the area. Details of this promotional effort were available from Treasa Ní Ghearraidh. I admired their courageous and clearly technically advanced work, in one of the most remote areas of the country. Some time later, I telephoned Treasa. She was a most charming person and quickly explained the practical side to what she was doing. She was trying to secure employment in the area by promoting tourism. She wanted to see an end to the haemorrhage of young blood. Some eighteen months later, I visited her in Ceathrú Thaidhg, a part of Dún Chaocháin. We spoke in pleasant discourse about the place and its chequered history. Later, I went walking down by the beach, only to meet a German family ambling along, enjoying the fresh air and scenery. We spoke for some minutes (my German is halting but they were most considerate). A thought struck me. If many more German- and French-speaking tourists came here, not only they would benefit. Years beforehand, I had come to the view that minority languages survived better where more than one strong culture had to be faced. Straight back to Treasa with me. She agreed that we should embark on a new form of cultural tourism. After all, there were not too many viable options from which to choose. She introduced me to Marianne Odendahl, originally from Germany, who was happy to assist with our efforts. 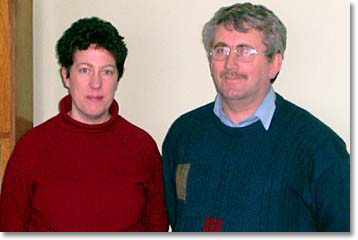 Arising from our common interests, Treasa and Uinsíonn, who is now her husband, Marianne Odendahl and myself, Liam, together set up The Living Communities Movement. Our ties with Europe made this project an eminently reasonable departure. Celts had once lived in temperate Europe speaking a language the closest to which today is Irish. With the Germans, we reinvigorated Europe after the fall of Rome. With the advent of the horse, some of us ventured from our historic homeland, to end up at the edge of the inhabitable world – Hibernia to the Romans. 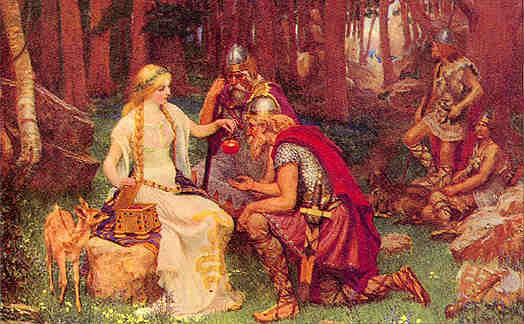 We called the island after a mythological princess – Éire. We built a civilisation here, in Scotland and on the Isle of Man, based on learning, culture and law. This was the greater Gaeltacht of yesteryear. After the Dark Ages, while the pagan tribes of northern Europe were still causing havoc across continental Europe, Saints and Scholars left our shores in great numbers, going back through the old Celtic homelands, mainly France, southern Germany, Italy (centering on Rome, of course) and eastwards, as far as Galatia – helping to restore the Christian culture, learning and Latin-based literacy. Éire too came under attack from the Vikings around 800 A.D. Their descendents in France, the Normans, invaded from England 1169. We absorbed these attacks. With Anglo-Saxon influence returning in England however, Henry VIII began, in 1541, the English military and legislative onslaught against Gaelic, Catholic Ireland. From then on, indomitable courage and immolation of self animated the Irish fight for survival. Procuring armaments in a country without a steel industry and, to a degree, the Celtic trait of choosing personal honour and glory over coordinated military action, prevented final success against the English. The Gaelic economy, which supported the native nobility, declined with their success on the battlefield. Throughout the 17th century, much of the surviving nobility joined European armies and integrated into European society. Gaelic lords, of well established, high-ranking social class, fought with distinction for their new hosts – against the author of their political destruction, to defend their Faith and to answer the call to soldiering in their blood. In the early 1700s, the Penal Laws excluded the Irish people from all political power and public employment. Land purchase was forbidden. The few remaining gentry had the choice of becoming Protestant or facing the break-up of their estates. Education was forbidden and voting rights withdrawn. Priests could not be ordained. Priests on the run celebrated Holy Mass in hidden places on Mass Rocks. Discovery meant death. The ordinary Irish people had become hunted strangers in their own land. By 1778, only 5% of the land remained in native hands. Tenant farmers on Anglo-Irish estates lived in abject conditions. But the people still retained respect for learning. Travelling schoolmasters taught the Gaelic culture and language, as well as some Greek and Latin, in unofficial ‘Hedge Schools’. Cultural expression was stifled. We have inherited no architecture (except in majestic ruins), no great paintings nor store of classical music. However, manuscripts of a new vernacular literature were carefully guarded and copied, as in earlier days the monks had done with their magnificent, ornate leather volumes. The Poets and Bards, reduced from courtiers to paupers, continued to serve a leaderless, impoverished though yet unbowed people. Revolution was never far away, though the Gaelic Order had been dismantled. The great Famine finally broke the spirit of the Irish Race. The variation between different sources of statistics would suggest that historians have further scope to study this human ecological disaster at the overall level. In 1841, the population had reached 8.2m. However, the potato crop failed from 1845-9. Some 1.5m people perished from famine, from related disease (such as typhus and yellow fever) and from cold. Other foodstuffs, sufficient to feed 20m (and representing a considerable amount of wealth) must be sold to make up the high rent payments. Wheat, oats, barley, butter, eggs, beef and pork were all exported in large quantities. In 1854, the British Scientific Commission belatedly prepared advice for Irish ‘peasants’ on ways to consume rotten potatoes. The instructions, in English, were very complicated and impractical. The description of one particular procedure concluded: “If you do not understand this, ask your landlord or clergyman to explain its meaning.” – a useful instruction to those who spoke Gaelic, whose indifferent landlords frequently resided in England and who, as Catholics, had no clergyman either. These ‘peasants’, of course, were renting their own land. Land had always belonged to the freemen of a Clan. Chiefs had been elected under law in an advanced, democratic system of governance. The emigration of 4m people began in 1845. Those bound for North America were treated as cargo (‘paying ballast’) on ‘coffin ships’. Some 70% sailed to the USA. One- to two-fifths of the emigrants perished at sea from ship-wreck, hunger and disease. For those who could raise the fare of around £4-5, the ‘coffin ships’ to America offered some ray of hope. However, the reality was different. A man who sailed to America in 1847 wrote: “Hundreds of poor people, men, women and children of all ages huddled together without light, without air, wallowing in filth and breathing a fetid atmosphere, sick in body, dispirited in heart…” This was not the stuff of legends. This was not us. Under the American Passenger Acts, some emigrants were refused entry into the US, usually for reasons of weakness or ill-health. They often just remained on the quayside until they perished. Successful emigrants still faced new and unrelenting miseries and anti-Irish, anti-Catholic bigotry from established Anglo-American settlers. Back in Éire, the Irish language had become associated with poverty and despair and was finally abandoned by large numbers. Only about one-quarter of the race spoke the language after the Famine. Alcohol became a final refuge from a shattered culture. The English provided insignificant relief through payments for carrying out economically worthless public works. In any event, food – not money - was the problem. Soup was provided occasionally if the recipient would convert to Protestantism. Temporary entry could be gained into refuges for the destitute called workhouses. But these were few and often provided no more than for starvation to run its course. Our people entered their darkest hour under the most callous régime to which Man has ever given position. The English press extolled the need for us to shed ‘surplus population’. In 1861, John Mitchell (an iconoclastic Protestant solicitor from County Down, and publisher of the ‘United Irishman’ newspaper) wrote: “A million and half men, women and children… died of hunger in the midst of abundance which their own hands created.” In 1904, Michael Davitt, founder of the Irish Land League, effectively regarded the events of 1845-50 as a holocaust. His view was repeated in 1989 by Ireland’s ambassador to Canada, Dr Edward J Brennan, during an address on Grosse Île. Taking the broad sweep of history, Ireland may be seen to have reasserted itself to no small degree, latterly with the generous help and goodwill of our old European comrades. Under the new order of the EU, there are now greater freedoms, prosperity and understanding. Catholic and Protestant traditions now, more than ever before, work together for the common good. Going as far back as the foundation of the State, however, it must be recognised that the Church of Ireland has given us two Presidents and a number of prelates with a scholarly knowledge of Irish. Occasionally over the years, I had the great honour of meeting the late and much respected George Otto Simms. He was Archbishop of Armagh and Primate of All Ireland, until his retirement in 1980. He always chose to speak Irish to me. He had a solid command of the Donegal canúint. He was a respected scholar and historian and an internationally recognised expert on the Book of Kells. In his book 'SAINT PATRICK Ireland's Patron Saint' (The O'Brien Press, 2004; ISBN 0-86278-749-1) he gives a unique and captivating insight into the character and life of that Saint, who ushered in the greatest period in our history. By some chance of fate, the late Canon Cosslett William Charles Quin was once my next-door neighbour in Donnybrook Village, in Dublin. He was undoubtedly the greatest scholar of Irish amongst twentieth century Church of Ireland clergy. Born in Antrim, in the North East corner of Ireland, Canon Quin was educated in St Columba's College Dublin. His academic career was unparallelled and in 1961 he became Professor of Biblical Greek in Trinity College, Dublin. He had a magnificent grasp of many languages, including Latin, Greek (ancient and modern), Hebrew, Aramaic, Italian, German, French and Spanish. However, it is for his love of the Irish language and culture that he is most remembered. He was a symbol of the common bond between the peoples of this island. The fundamental aim of the Living Communities Movement is to act towards stabilising the weakening position of the Gaelic culture. We intend to encourage the Gaelic economy through the promotion of cultural tourism and associated activities. The new movement was to commence in Ceathrú Thaidhg only but already the neighbouring Eachléim district has come on board. Preparations are in hand to bring in other areas. The generation of income will take second place to the effects of this income in the construct of the Movement. We, the Gael, shall in turn go to France and Germany to visit places of cultural and historic interest both to ourselves and to the French and Germans. This unique expression of strength and of the will to be relevant by one of Europe’s smallest communities is aimed at bringing about its cultural renewal. We show where our hearts lie time and time again, with abundant energy, when Famine strikes the less fortunate of this world - as it once struck us. We show it too by our pride in the nation’s sporting heroes and musicians, whose abilities have again marked our presence on the world stage. We shall want to see this new movement progress throughout the Gaeltacht, helping to secure our Gaelic homeland and the magnificent culture native to this island. The gathering strength of the movement, from such small beginnings, should also be a source of inspiration for people who, in their own lives, need courage to persevere. Possunt quia posse videndur.